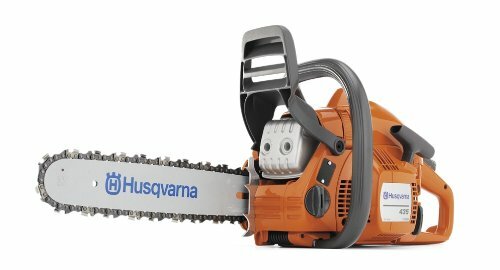 Echo vs Husqvarna Chainsaw: Which Brand To Pick? If you’re ready to buy a chainsaw, you should first know which brand to pick. You can choose between Echo and Husqvarna, two of the most beloved companies in the power tools industry. With our assistance, you’ll learn the pros and cons of getting an Echo vs Husqvarna chainsaw. The Echo company prides itself in manufacturing both rear handle chainsaws and top handle variants. All of their products are made with the intent of achieving utmost precision and durability. As long as you contact an authorized Echo chainsaw retailer, you’ll have the opportunity to check out the newest models and offers. To ensure long-term reliability and optimum performance, Echo employs a variety of features to their chainsaws. First, their power tools have a filtration system to produce a sizable amount of cooling air. The air filter are either pleated or made of felt to stop dirt and other unwanted substances from entering and compromising the engine. Furthermore, Echo chainsaws have their own vibration reduction systems for users’ comfort despite the intensity of the operation. Activating this power tool isn’t difficult at all, thanks to an electronic ignition. Next, we have Husqvarna. This company is known for investing time and money in research and development. With enough brilliance and determination, Husqvarna managed to create its patented Low Vib system. This anti-vibration system absorbs a significant portion of the vibration to keep both your arms and hands comfortable enough for continuing sawing. Another strength of this brand is its choke/stop control for quick activation. To compete with Echo's air filtration system, Husqvarna uses the Air Injection centrifugal air cleaning system. This system prevents immediate wear while also extending the operation duration. In addition, the TrioBrake quickly stops the chains to prevent injuries and improve the overall ergonomics. Lastly, the X-TORQ engine inside generates massive power while being less harmful to the environment compared to the average chainsaw. This engine reduces both the amount of fuel needed to operate the chainsaw and the exhaust emission levels. To better understand what are the differences between Echo chainsaw and Husqvarna variant, let’s take a look at two specific baseline models from each company: Echo CS-400 and Husqvarna 435. Both of these are recommended for homeowners who conduct some wood cutting, limb pruning, and tree felling from time to time. First, the Echo CS-400 model utilizes a hefty 40.2 cc engine that provides a maximum throttle or engine speed reaching 12,000 rpm. This variant also has the typical chain bar measuring 18 inches. If you need a slightly shorter chain bar, Echo attached a 16-inch bar for free. 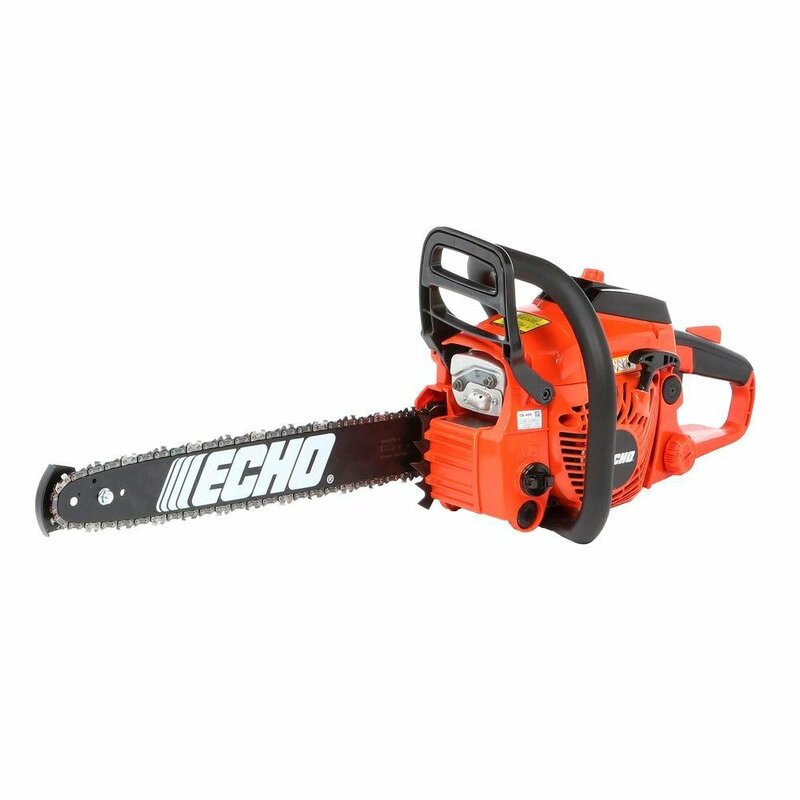 The Echo CS-400 chainsaw greatly extends its operation with a fuel carrying capacity of nearly 14 fluid ounces. It has a dry weight of 10.1 pounds, and it uses a diaphragm carburetor that’s quick to mount in any position and has a vacuum-powered fuel pump. On the other hand, the Husqvarna 435 chainsaw is powered by a 40.9 cc engine reaching 9,000 rpm maximum speed. It’s designed to accommodate chain bars ranging from as short as 13 inches to as long as 18 inches. Moreover, the lighter weight of the Husqvarna 435 chainsaw is 9.33 pounds and has a fuel carrying capacity of 2.88 fluid ounces. As you can see, while they are pretty much similar in terms of the dry weight and the engine type, each model has its advantages. The Echo CS-400 chainsaw’s engine speed is 3,000 more than that of the Husqvarna 435. Likewise, its fuel capacity is thrice the 2.88 fluid ounce capacity of the Husqvarna chainsaw. The only unique benefit of the Husqvarna 435 is its variety of chain bar lengths. Of course, these standard chainsaw models represent what you might expect if you’re a casual chainsaw user. Both Echo and Husqvarna have a lot more to offer, such as top-handle chainsaws and professional chainsaws. We hope that this article helped you understand why people consider Echo and Husqvarna as the top chainsaw companies in the world. If you have any queries, do give us a comment.